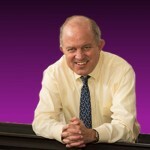 Alfred R Berkeley, III serves as Chairman of the Board of Directors of DDMotion. He brings considerable strategic and financial advice, as well as guidance on market analysis and entry. His business career spans over decades of leadership in positions in finance, including NASDAQ Stock Market, Inc. which he served as president from 1996 through 2000. 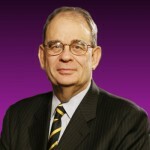 Al’s leadership positions include the President’s National Infrastructure Advisory Council, for which he served as acting chair, for Johns Hopkins University, which he served as a trustee and the Nomination Evaluation Committee for the National Medal of Technology and Innovation for which he was vice-chair. He received his B.A. degree in English from the University of Virginia and a M.B.A. from The Wharton School of the University of Pennsylvania. Key Han has spent the last ten years perfecting his designs and prototypes for infinitely-variable motion controls. 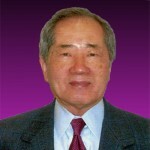 He is the inventor of the Transgear™ gear assembly motion control. He began his career at General Electric where he designed and developed award winning components for products ranging from appliances to military weaponry. Key acquired senior level management experience in international purchasing and strategic planning activities at GE, Acme Electric Company and Bendix HVS. He has won multiple patents for his former employers, in addition to thirteen and more pending for his own work on motion controls. He earned a M.S. degree from the University of Louisville and a B.S. degree in Mechanical Engineering from Montana State University. 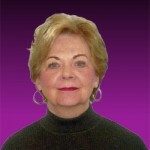 Judy has more than 30 years of experience in business management and development, marketing and communications. In 1994 she founded and served as president of a Baltimore advertising and strategic planning agency, working with many start-ups, particularly focusing on industrial strategic planning, market research, competitive analysis, advertising development and implementation. Judy has held senior positions at GKV Advertising, Evans & McLaughlin and Foster & Green in Baltimore, Maryland.